The Credit Union National Association (CUNA) announced this week the launch of YourMoneyFurther.com, which invites consumers to learn more about credit unions and identify convenient prospects for credit union membership. YourMoneyFurther.com is the focal point of Open Your Eyes to a Credit Union, the groundbreaking, research-based program CUNA and leagues are leading to grow consumer awareness of credit unions as their best financial partner. 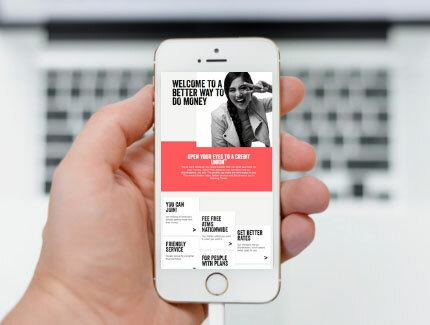 Digital advertisements will drive visitors to one of six unique landing pages on the site that provide specific information on key topics, including: eligibility, fee-free ATMs, better rates, better service, achieving your aspirations, and online and mobile banking. “We created YourMoneyFurther with a fresh, modern look and feel but there is so much more to the online experience than just aesthetics. Visitors to the site will be able to see firsthand the practical ways that they are eligible to join a credit union,” said CUNA President/CEO Jim Nussle. The website is one of many promised deliverables to credit unions that have invested in the “Open Your Eyes” program, with several credit unions in the Carolinas leading the charge. A notable benefit for contributors within the website is top search result placement in the credit union finder tool. Other contributor benefits expected in days to come include access to collateral assets and a style guide for co-branding select pieces, media performance reports, and insight from a targeted digital media plan to rollout in February across the Carolinas. The media plan targets primarily adults ages 35-54 in the market for financial products and services (e.g. home loans, car loans, college tuition loans, etc. ), with a secondary target audience that includes Millennials and Gen Y. The “Open Your Eyes” program is designed to get Americans to consider credit unions and overcome their misguided assumptions about credit unions. Through rigorous ad testing and continual evaluation of audience engagement in-market, CUNA will refine content across channels to ensure it drives action. The site is sponsored by America's credit unions and is aimed at increasing consumer consideration of credit unions for financial services.